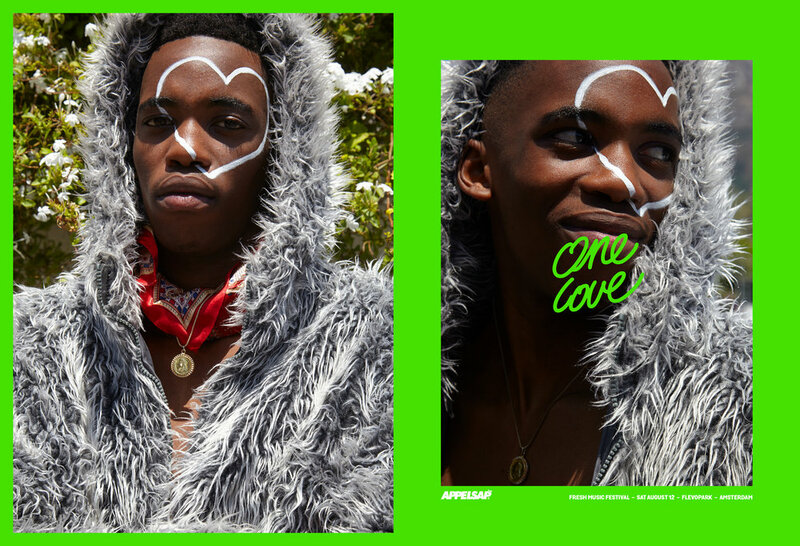 Today we present to you Appelsap Festival One Love Campaign. This year it’s all about Appelsap Festival’s universal family. 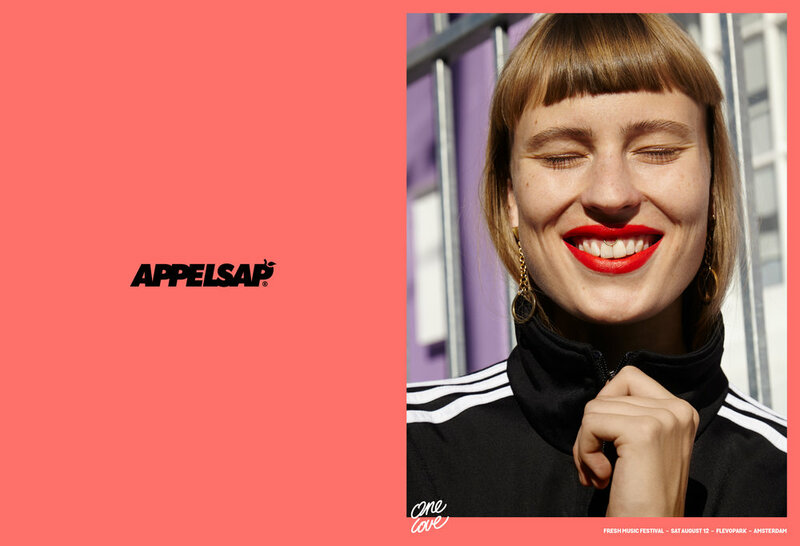 The campaign features the worldwide network of Appelsap and celebrates different personalities from all over. The 16th edition of the festival will be at Flevopark in Amsterdam, The Netherlands on the 12th of August with acts like Lil Wayne, Dave, Yung Nnelg and Fresku. More names are set to be announced soon. 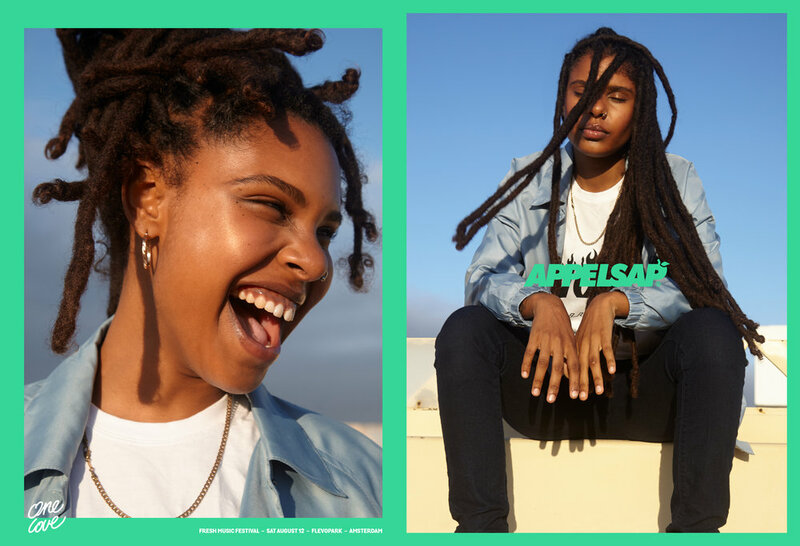 Appelsap has been celebrating diversity of street culture for about two decades now. Last year the festival launched their own book in honor of the Amsterdam street culture called ‘SO FRESH IT HURTS’. 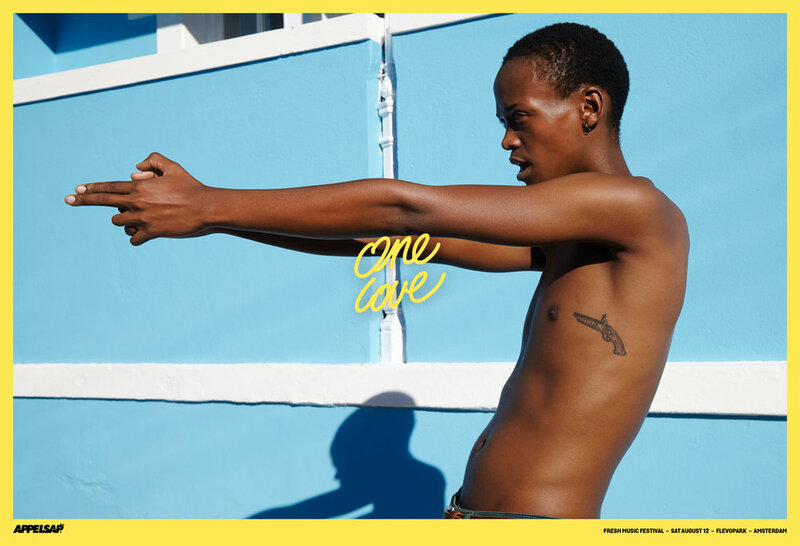 To show that the DNA of the festival does not know any borders the campaign is shot in South-Africa, the UK and America. 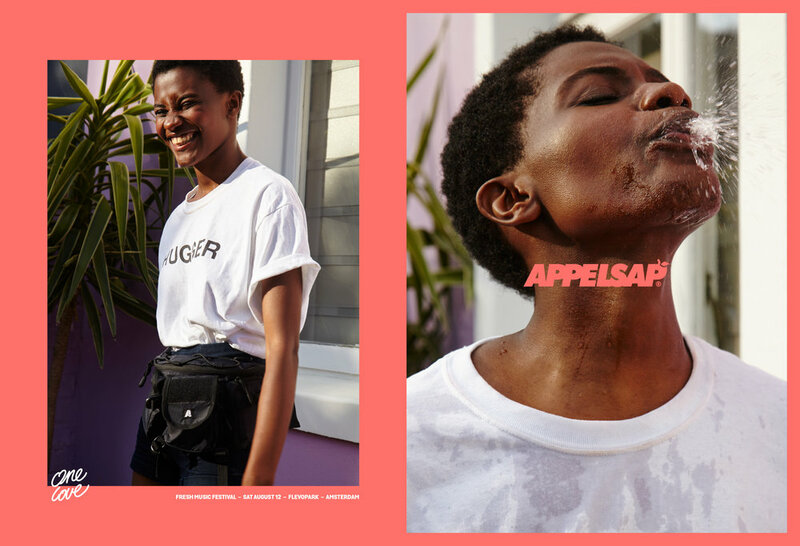 For the first part of the campaign photographer Lotte van Raalte traveled to Capetown to shoot a very colorful photo campaign. The people she had in front of her camera include the South-African artists Dope Saint Jude, Blaq-Slim and Boolz. The upcoming months more faces will be added to the campaign. The short teaser video’s are made in collaboration with director Basha de Bruijn and students of the project I AM, (A Township Filmschool). This is a Dutch program that makes sure that young people from Langa (the biggest township of Capetown) get photography and filmclasses from professionals to enhance their chances of jobs in the local photography and movie industries. 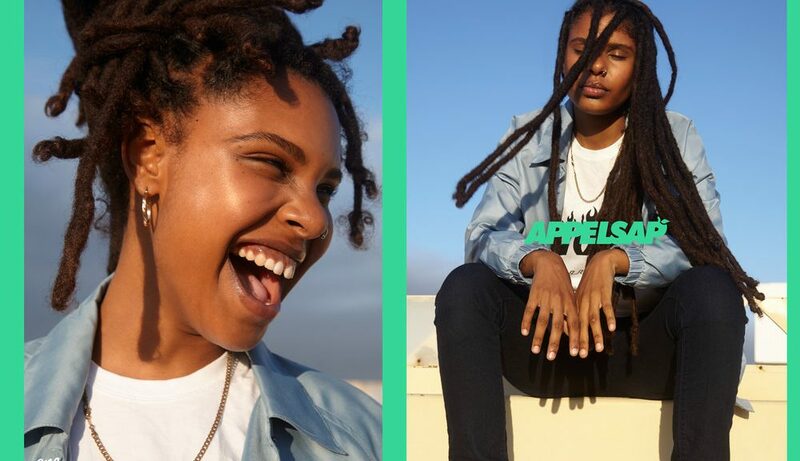 On Saturday the 12th of August Appelsap festival takes place in the Flevopark in Amsterdam with acts like Lil Wayne, London native Dave and Dutch acts like Kempi, Young Nnelg and Fresku. More names coming soon. 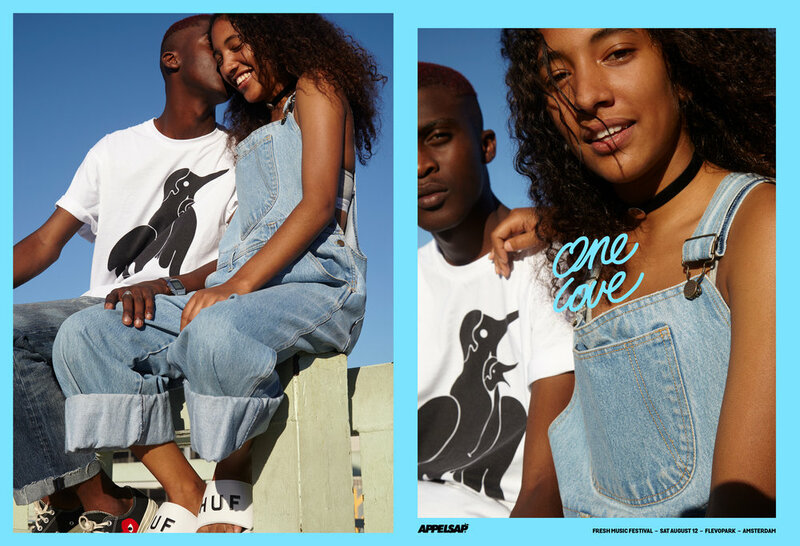 To see the full line-up and the Appelsap Festival One Love Campaign check the links and images below.